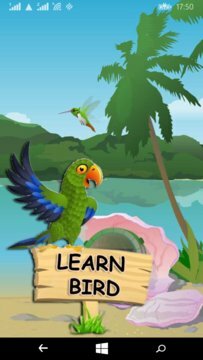 Learn Bird is the best app which makes your kid learn the names of the various beautiful birds and it also helps them to get familiar with the sounds of these birds too. This app is a complete package of learning and entertainment both. It will spread the ever lasting imapct on your kid and make him learn and play at the same time. This is very simple app so that your kid can manage and learn in quick manner. 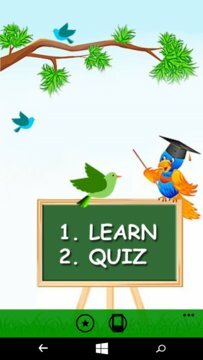 Quiz section of this app judges his/her learning power and gives him a challenge to guess the bird after seeing its picture and hearing it's sound too.